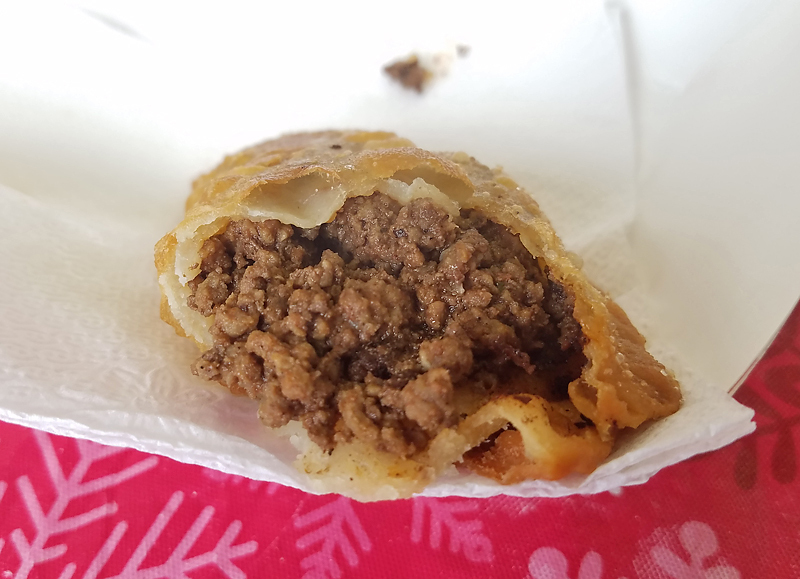 First and foremost kudo's to Titus, aka ChiBBQKing, for the lowdown on Morena's if you are not obsessively checking his blog and instagram @chibbqking you would be hard pressed to call yourself a food centric person much less an LTHer. 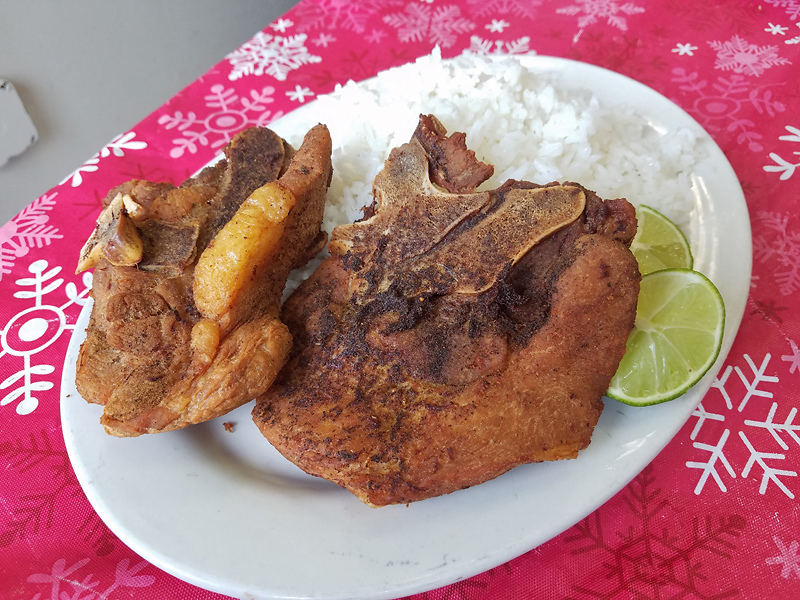 Morena's Kitchen is a half storefront hideaway on W Armitage, one table with three chairs and a few stools offering Caribbean/Dominican comfort food. 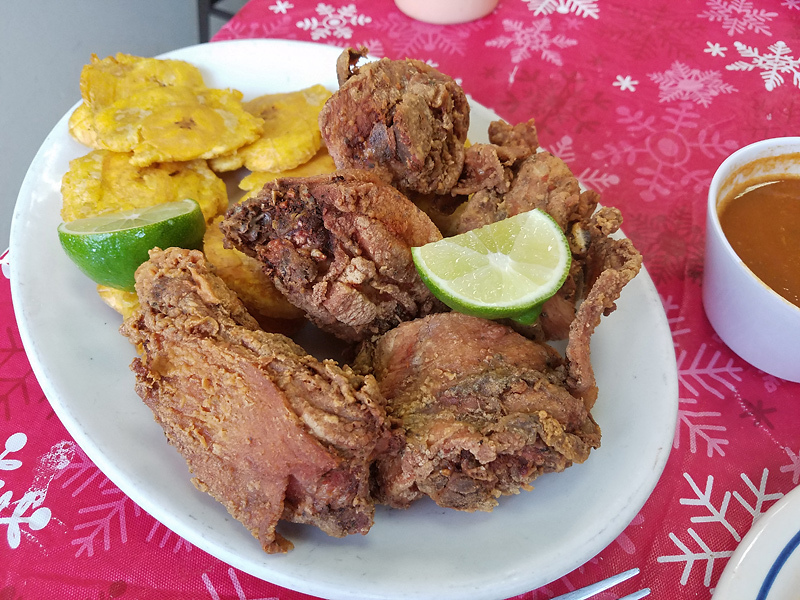 Titus waxed poetic about the fried chicken " The seasoning is kind of like Popeye's turned up to ten" and its terrific, paired with an order of crisp perfectly fried tostones and a few squeezes of lime its a stunner. On-bone chivo/goat with white rice and stewy red beans, tender flesh turned up to ten with the addition of house made habanero hot sauce. Mangu, like a healthier version of mofongo, topped with pickled red onion is a don't miss Dominican side dish. 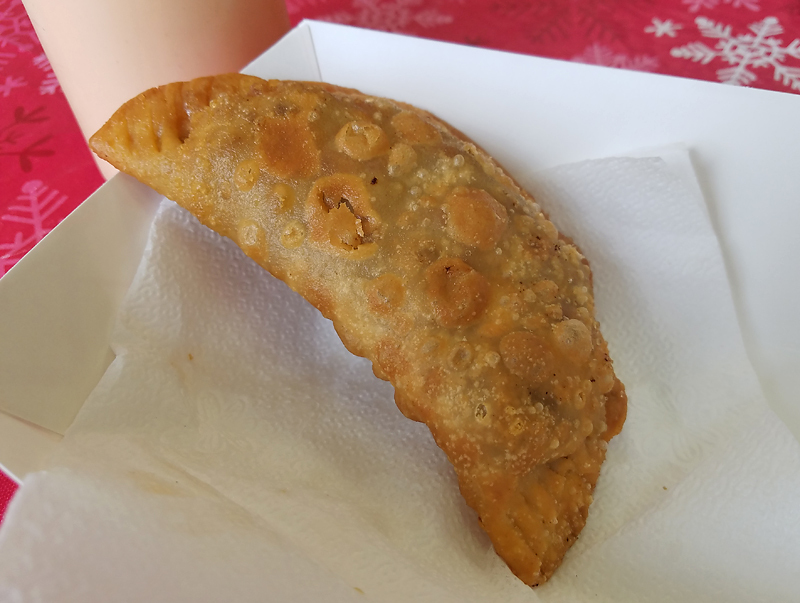 As mentioned Morena's is tiny, though what it lacks in physical space is more than made up for by the outsized personality of Mirian, aka Morena. Best, and only, table in the house. There's also 6 or 7 stools along the walls. Mirian mentioned she had been open 3-years and there were plans to expand into the next storefront East. They do a steady takeaway/pickup business including traditional Dominican breakfast. Eggs, fried cheese and salami with mangu and pickled red onion. Two of us barely scratched the surface of Morena's menu, I'm very much looking forward to a return visit. Morena's Kitchen, Count me a Fan! I've been smitten with this place since Da Beef inspired me to check it out back in January. I've been through at least once a month since. Mirian, the namesake Morena, is delightful, she makes you feel at home the minute you step through the door. At this point she feels like an old friend and knows my order. I've noticed neighborhood folks will stop in just to say hello. 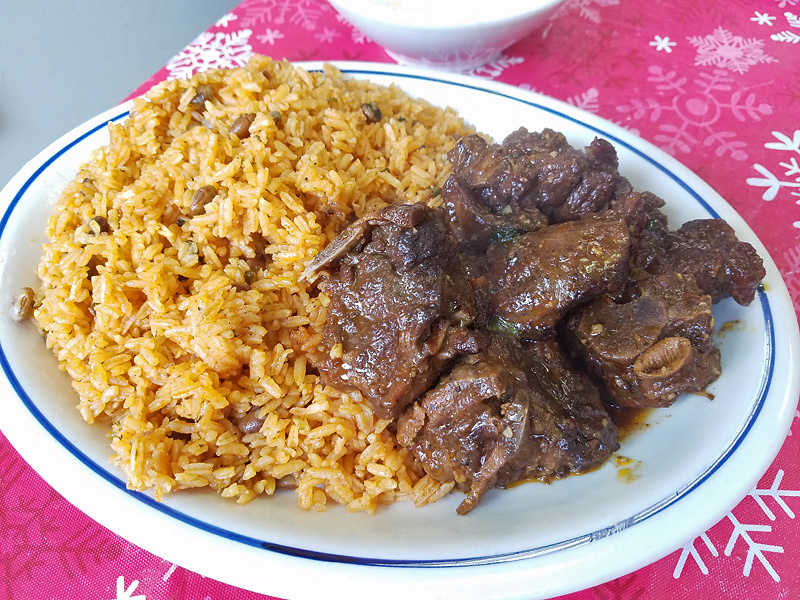 All the food is made lovingly from scratch, most plates featuring simple, homey slow cooked meats with rice and beans. ¡Que rico! she has a way with the fryer though! And by fryer I mean a well worn rondeau bubbling away on the back burner. The pica pollo has shot up my essential Chicago dishes list, like maybe even top 5. Ad hoc hunks of bird deeply, deeply marinated in familiar, yet intoxicating aromatics– garlic, Dominican oregano and proprietary citrus blend– are fried to a shattering crisp. Served alongside a big old mound of crunchy tostones everything doused in her fruity, not-too-crazy habanero sauce, perfecto! Pork chops are similarly seasoned, though lightly (if at all) breaded before their dunk. I post this today since the Hungry Hound was in there filming for a June spot (I might make my small screen debut licking fingers with an LTH icon, stay tuned!) The Sula effect hasn't seemed to swamp the place too much, but I have a feeling Morena is destined for all the attention she deserves! Newsflash! : We were told today that Morena's will soon be moving a couple of doors west to a larger space (with more seating) on the NE corner of Armitage and Leclaire. Maiden voyage today and I really enjoyed it, especially the chivo, which was rich and unctuous . . .
We also had some other tasty items . . .
As others have posted, the crispy chicken is very nicely seasoned. The tostones, served with a mayo-based sauce, were great. And those were some of the best beans I've had in a long, long time. They were tender, not mushy at all, and really flavorful -- with a delicious pot liquor that was redolent of cilantro. Service could not have been friendlier. Even the other customers in the tiny space were enthusiastic, accommodating and helpful. Morena's Kitchen is truly a gem. I can't wait to go back and try some of their other items. ronnie_suburban wrote: Newsflash! : We were told today that Morena's will soon be moving a couple of doors west to a larger space (with more seating) on the NE corner of Armitage and Leclaire. Here's a nice little article about the restaurant and the move.